The Match Shape, and conversely the Match Contour option is available in the Extrude and Revolve Features. These are not rocket science options, but do occasionally present confusion, either by the situation they are used with, or by the Inventor help available. 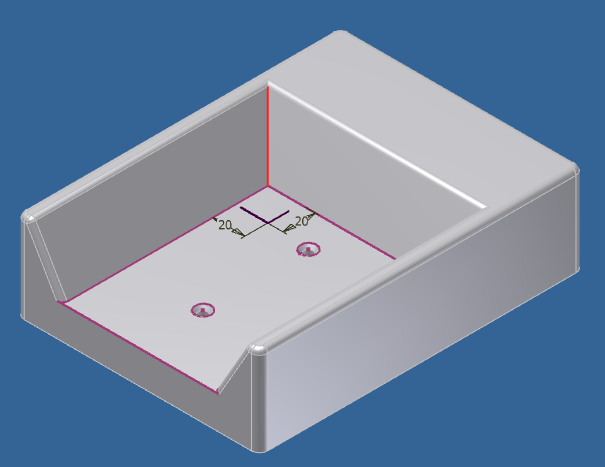 When an Extrude feature is created, it expects a closed loop profile, from which it will add a feature perpendicular to the plane the profile lies on. Alternately, an open profile can be selected. In the image below you should notice a small tray with a sketch containing an open profile dimensioned 20mm x 20mm. The sketch was created on the face of the tray bottom.